The interactive installation Digital Marionette impressively shows the audience the look and feel of a puppet in the multimedia era: The nicely dressed wooden marionette is replaced by a Lara Croft – like character; the traditional strings attached to puppet control handles emerge into a network of computer cables. The installation is currently exhibited at the Ars Electronica Center in Linz. The installation consists of a projection of a digital face, which can be controlled by the visitors. The puppet can be made talking via speech input, and the classical puppet controls serve as controllers for head direction and face emotions, such as joy, anger, or sadness. 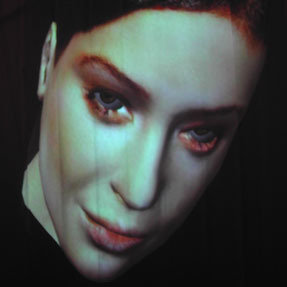 The whole artistic concept was designed and realised in an interdisciplinary manner, incorporating art historical facts about marionettes, the architectural space, interaction design, and state of the art research results from computer graphics and speech recognition. The translation from old to new, from analogue to digital, takes place via the most popular computer input device: the mouse. The puppet control handles are attached to sliding strips of mousepads and eight computer mice track movements of the individual strings. This approach is at the same time efficient, low-cost and easily understandable by the non-expert visitor. Speech input is realised via speech recognition, where the recognised phonemes are mapped to a set of facial expressions and visemes. 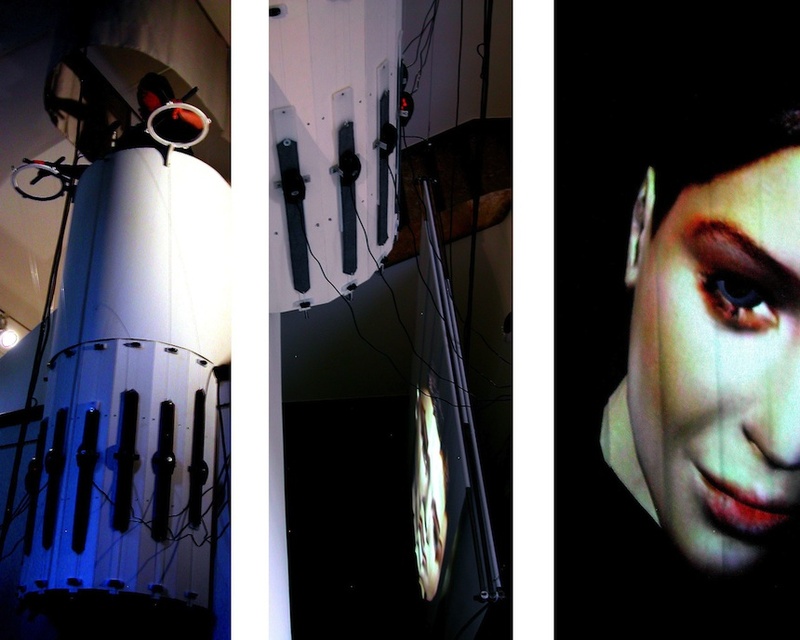 The first exhibition of the Marionette was realised in 2004 by the Corebounce Art Collective in cooperation with Christian Iten (interface realisation), Swisscom Innovations (Swiss-German voice recognition), and ETH Zürich (real-time face animation), and Eva Afuhs and Sergio Cavero (Curators, Museum Bellerive, Zürich). An augmented permanent version of the installation was presented in the entrace hall of the world-famous Ars Electronica Center in Linz. It was realised by the Corebounce Art Collective with technical support from Gerhard Grafinger of the Ars Electronica Center. Furthermore we thank Ellen Fethke, Gerold Hofstadler and Nicoletta Blacher of Ars Electronica; and Jürg Gutknecht and Luc Van Gool of ETH Zürich. http://www.corebounce.org/wiki/Projects/Marionette (includes pictures / videos of the Ars Electronica Center installation). This entry was posted in Digital Art, Publication, Research and tagged Animation, Ars Electronica, Corebounce, Expression, HCI, Matthias Specht, Pascal Mueller, Portfolio, Simon Schubiger, Speech Processing on June 28, 2010 by robot.